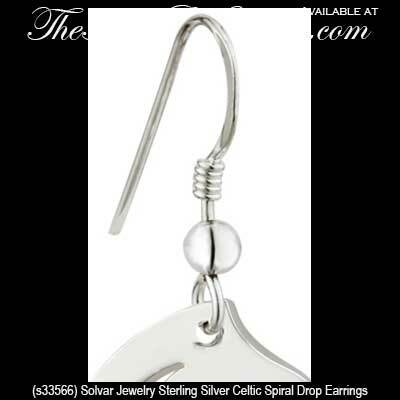 Silver Celtic earrings are offered in an array of styles and sizes that include studs, hoop and drop designs. 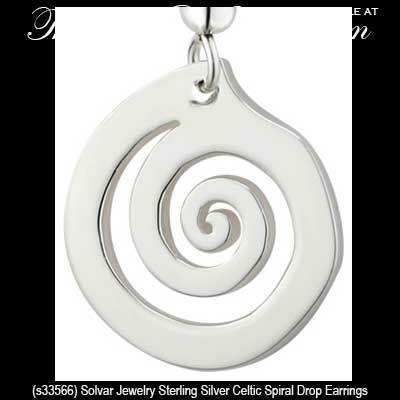 These sterling silver Celtic earrings include the Trinity and spiral designs. 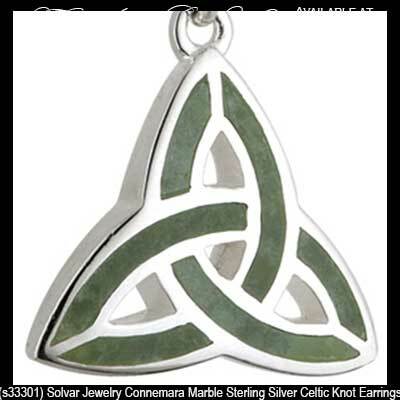 Choose from silver Celtic earrings that feature the traditional Trinity knot or you may select from the many Celtic motifs that have accenting that includes Connemara marble or pearls. 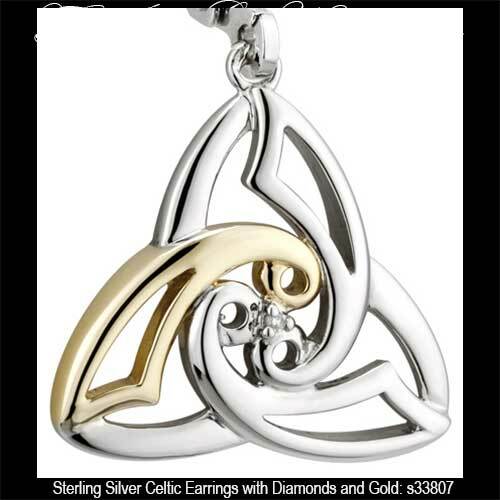 We even have silver Celtic earrings that are accented with gold to create a brilliant combination effect. 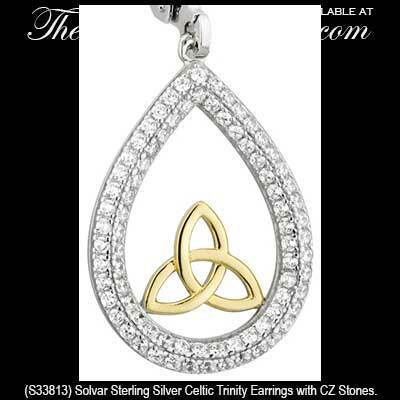 Additionally some of these Celtic earrings are crafted in various shapes that include hearts to form love knots. 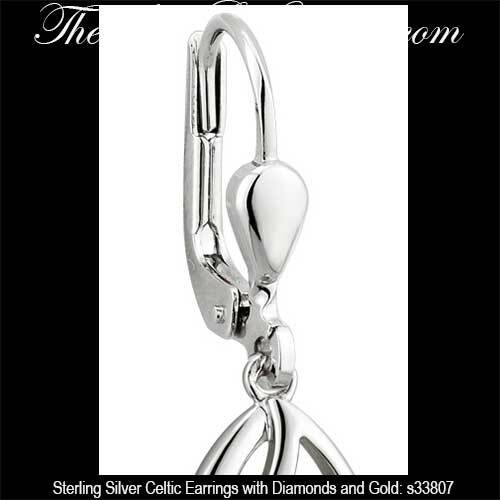 All of our silver Celtic earrings are made in Ireland with the exception of several cute and tiny studs that are made in Scotland. 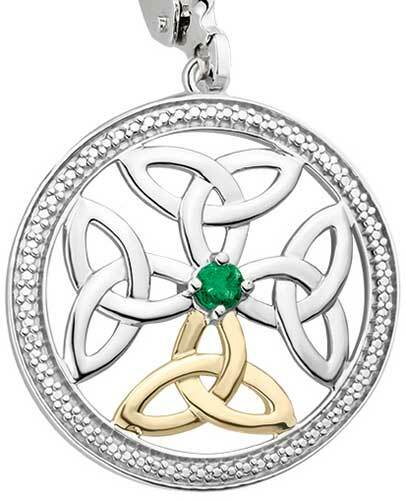 Sterling silver Celtic earrings feature four connected Trinity knots with a real emerald in the center; one of the knots is 10K gold, the balance are silver. 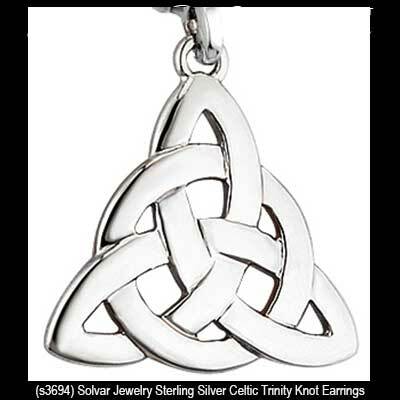 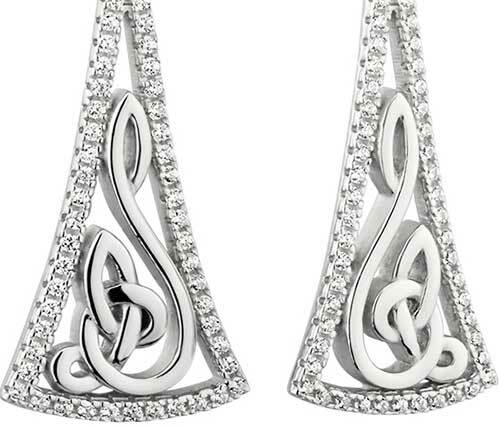 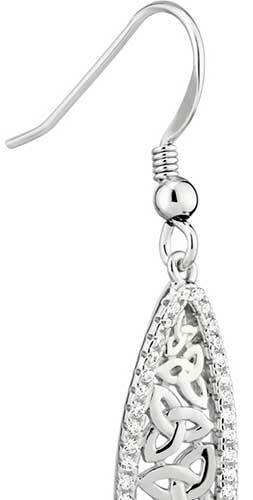 Sterling silver Celtic earrings are drop designs that feature fancy Trinity knots with interwoven with circles. 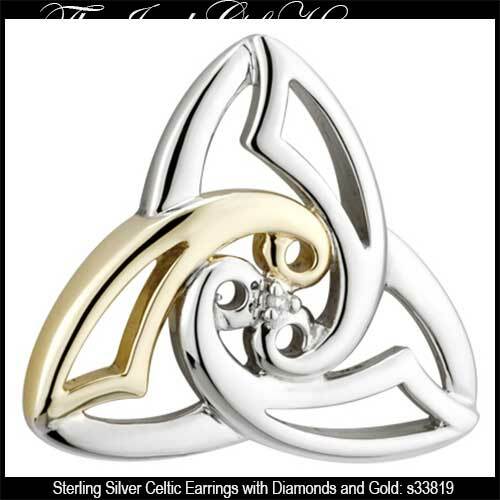 Celtic earrings are a marquise shape sterling silver design that features vertical rows of Trinity knots along with CZ stone studded edges. 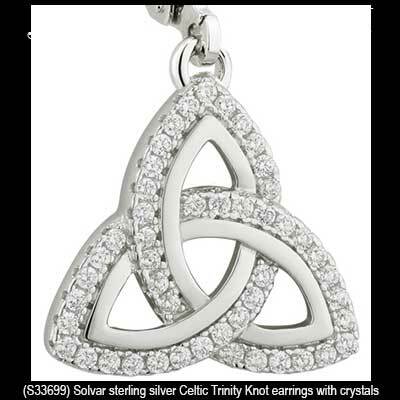 Celtic earrings are a long sterling silver design that features stylized, filigree, Trinity knots along with CZ stone studded edges. 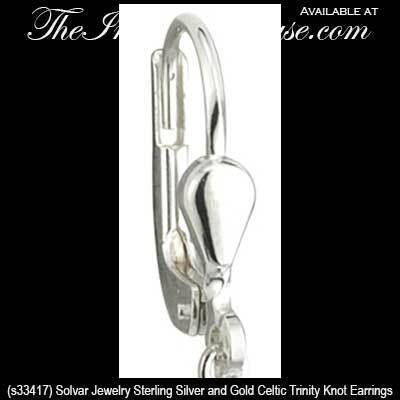 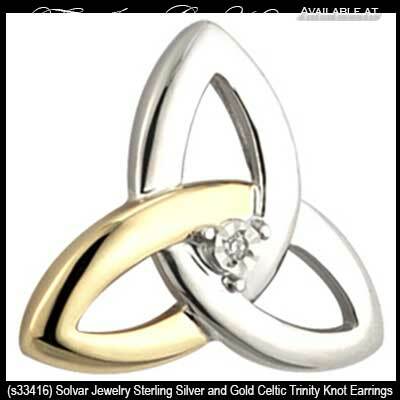 These sterling silver Celtic earrings feature gold plated Trinity knots. 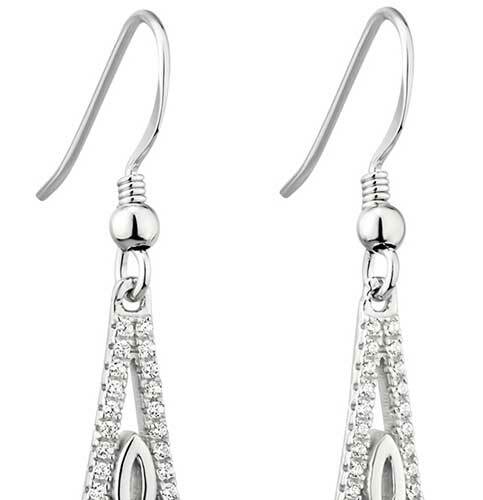 You may have noticed that a fair amount of our sterling silver Celtic earrings are enhanced with Connemara marble; subsequently you may wish to see the extensive balance of earrings that are accented with Ireland's gem stone. 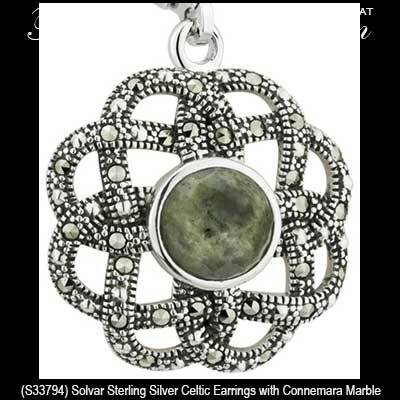 While you are in the area you may also view our extensive collection of Connemara marble necklaces. 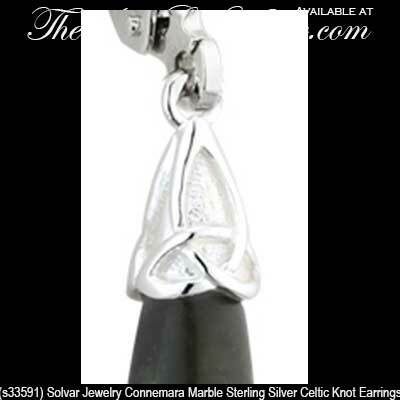 Naturally, we also have an outstanding assortment of Connemara marble bracelets; these pieces will nicely augment any earring selection that you have made. 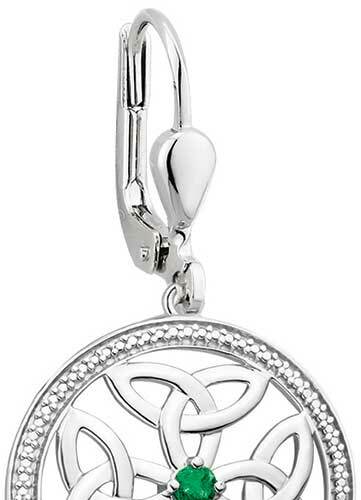 The Irish Gift House also has a complete and comprehensive selection of sterling silver Celtic necklaces along with Celtic charms for you to peruse; like all our Irish made sterling silver jewelry they have been hallmarked by the Irish Assay Office at Dublin Castle. 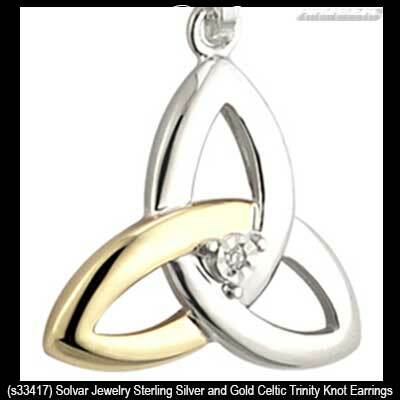 Additional considerations within this genre are the Tree of Life necklaces and the Tree of Life earrings as many of these prices incorporate Trinity knots within the respective designs and would thus complement many other similar motifs.